Rumors have been spreading for months that Google (GOOG) would launch its own wireless handset. PC Magazine even went so far as to report that Google employees have been issued the phone. Now there is a sort of confirmation from The Wall Street Journal that the handset, to be called the Nexus One, will go into production next year, though the newspaper can only say that this is "according to people familiar with the matter." The handset allegedly will be built by Chinese cell phone manufacturing giant HTC and will run Google's own wireless operating system, Android. 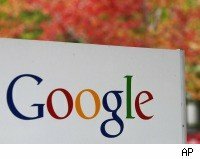 Google isn't likely to offer the phone through just a single wireless carrier, so consumers will still have to sign up for plans with firms like AT&T (T) or Verizon (VZ) on their own. There has been media speculation that Google is taking a large risk by offering the Nexus One because it may anger other handset manufacturers such as Motorola (MOT), which already use Android in their handsets. It may also make carriers unhappy. But both of those concerns are overblown. Cellular carriers should be happy because they often subsidize the costs of handsets. For example, AT&T pays hundreds of dollars to buy each iPhone, but it passes only a portion of the price on to consumers. AT&T can sell a plan for Nexus One without underwriting the handset's cost. Phone makers may be upset, but what choice do companies like Motorola have? Android is open-source software and is therefore free. Most other operating systems come with licensing costs that makes handsets more expensive. Google's brand may help it sell phones that would have otherwise been sold by Motorola. But if Android offers features that are exceptionally attractive to consumers, Motorola needs it to be a success. It will just have to live with the fact that Google has become a competitor as well as a collaborator. Of course, Google hasn't announced that it will launch the new phone. The Journal has no confirmation from Google. Nexus One could still just a rumor, much like the Apple (AAPL) tablet portable computer.